The Commodity trading market is one of the most upcoming markets in terms of investment opportunities. This market has immense growth potential and is one of the first choices of customers because the risk is comparatively lower than equity trading. An interesting aspect of the commodities is that customers can invest in less capital but still stand the chance of gaining maximum return out of it. They key behind successful trading is extensive market know-how and a diligent choice of products in which to invest. This is precisely where the expertise of the Passion Group comes into play. 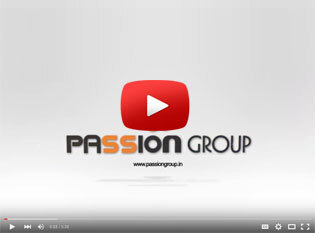 The Group acknowledges the positive growth prospects in this field and hence have set up one of the largest subsidiary – Passion Commodities Pvt. Ltd. - to address the needs and demands of this market. The fully owned subsidiary is one of the largest commodity broker companies in India. Being a member of Mcx, Ncdex, Nsel etc, customers have the option to trade in multiple products and design their portfolio judiciously. Extensive Research & Advice– The top management of Passion have been instrumental in setting up a culture of research in the DNA of the Group. All our decisions and recommendations are based on solid research on the market based on historic data and trends. Best in class and sophisticated analytical tools and techniques are employed to gauge the sensitivity and behaviour of the commodity market. Customers can opt for a one on one communication with our team of experts and get crucial tips on the hot commodity products and profitable portfolios by combining certain products. •	Customers are shown the true picture (without any biases) of the commodity market so as to ensure maximum transparency in operations. Also, this ensures that the customers take a practical stance in their investment operations. 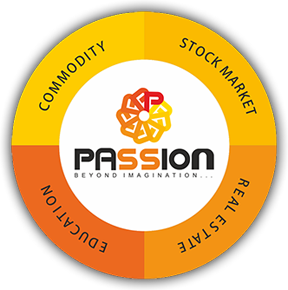 We at Passion provide customers with a wide plethora of investment opportunities. Owing to our membership with Mcx, Ncdex, Nsel etc, customers have a wide choice of options from which to choose. Since the commodities market is vulnerable in terms of returns, hence customers are provided with expert guidance on how to choose a product or a portfolio of products. The research wing is equipped with veterans of the industry who helps customer gain maximum returns from nominal investments. Risk Management Activities – The Passion Group has incorporated a robust and reliable risk management cell who continuously keeps a watch on the current and forecasted movements of commodity pricings. The cell ensures that customers are provided the true picture of the market based on their investments so that there are no subsequent grievances. Customers are delivered as per the commitment of the Group. Membership and Trading Platforms –As mentioned the Passion Group has membership with Mcx, Ncdex, Nsel etc which enables customers to plan their investments in a wide bucket of products. In addition to that, the Group also provides a robust online trading platform. Customers can trade online without any hassles, and the platform educates the users on its technical know-how and functional operations. Customer Support – Efficient customer support is one of the key aspects in commodity trading. Given the vulnerability of the commodity market, it is extremely important and instrumental to choose the products diligently as in doing so; a substantial return can be earned with minimal investments. The Passion Group provides relentless service from 8 AM in the morning till 12 AM. 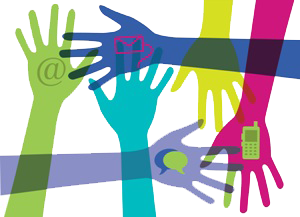 Customers are free to contact the team of experts via call, sms and live chat. Customers also have the option to request a remote sign in facility where in an experienced professional from the Group would get to the nitty gritty of the dilemma being faced by the customer and track it to closure. There is also grievance team instated for customers to lodge their complaints and areas of dissatisfaction. This department is directly under the monitor of senior management who closely scans the criticality of each and every reported issue and addresses them appropriately.